Fabrication - making up data or results and recording them in the research record. Falsification - manipulating research materials, equipment, or processes, or changing or omitting data or results such that the research is not accurately represented in the research record. See the U-M investigation procedures document for definitions. 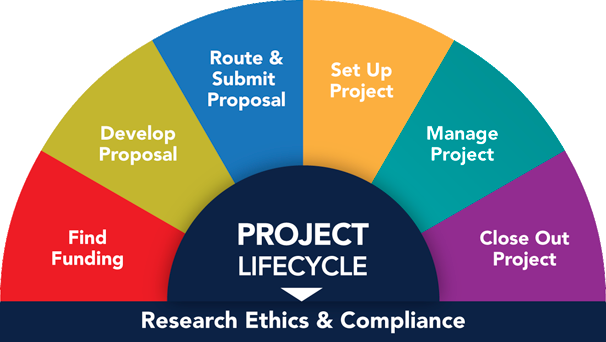 Federal agencies (e.g., Public Health Service) have published research integrity and/or misconduct regulations that define research misconduct, prescribe time limits for inquiry and investigation, and require reporting to the agencies under certain conditions and process stages. The university complies with the federal regulations, as applicable, and follows SPG 303.03 regardless of the presence or absence of external funding/sponsorship of a specific research project. Key components of U-M’s Research Integrity Program include advising the research community to conduct research responsibly and investigating allegations of research misconduct. The University of Michigan's Integrity of Scholarship and Research policy outlines the ethical expectations for, and responsibilities of, its academic and research communities and identifies the general principles for investigating research misconduct allegations. The full policy is located in the Standard Practice Guide (SPG) 303.03. Integrity in scholarship and teaching is a fundamental value upon which the University is founded. Without integrity, we could not justify the privilege of academic freedom intrinsic to scholarship and education, nor could we provide to society the advancements of knowledge that derive from free and open inquiry. Assure that academic and research misconduct is dealt with in a timely and effective manner. Allegations of misconduct should be reported confidentially to the University's Research Integrity Officer (RIO) in the Office of the Vice President for Research or through the University's Compliance Hotline. Allegations received by the Office of General Counsel or other administrative units (e.g., chancellors, deans, directors, or department chairs) will be directed to the U-M RIO. If a misconduct determination is made, the resolution and outcome depend upon the kind of appointment the accused holds and on the seriousness of the sanction recommend. Defines research misconduct and other violations of research integrity per the University's Integrity of Scholarship and Research policy (SPG 303.03) and outlines the review and investigation processes the University follows to evaluate an allegation of research misconduct. Defining the Role of Author and Contributors ICMJE guideance that describes the importance of authorship and defines the basis for authorship and non-author contributors. Singapore Statement on Research Integrity Webiste outlining research integrity principles and responsibilities for the international research community; designed to foster global research integrity. Montreal Statement on Research Integrity (PDF) Outlines the responsibilities of individuals and institutions when collaborating in cross-boundary research; builds upon the responsibilities defined in the Singapore Statement. Office of Research Integrity (ORI) infographic. Download and post in your unit or use as part of your unit's RCR training.